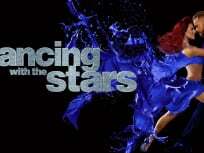 On Dancing With the Stars Season 27 Episode 3, dances feature iconic New York City songs and a performance by New York City Ballet principal dancer Tiler Peck. 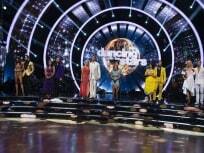 On Dancing With the Stars Season 27 Episode 1, 13 celebrities including Mary Lou Retton, DeMarcus Ware, John Schneider, Nancy McKeon and more are ready to dance. On Dancing With the Stars: Athletes Season 26 Episode 4, the season's full roster of contestants reunite for a dance number as someone wins the Mirrorball. On Dancing With the Stars: Athletes Season 26 Episode 3, it's the Ballroom Battle dance-off as the athletes compete with three toe-to-toe performances. On Dancing With the Stars: Athletes Season 26 Episode 2, second week of competition features two rounds of dancing, including a round of team dances. 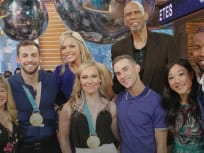 On Dancing With the Stars: Athletes Season 26 Episode 1, star athletes from basketball, baseball, football, figure skating and more will hit the dance floor. On Dancing With the Stars Season 23 Episode 4, the couples are pitted against one another in dance off in the third week of performances on Face Off Night. On Dancing With the Stars Season 23 Episode 3, never-before-seen footage, a preview of the "Forever Country" music video and first elimination occurs.